I reviewed the original Endless Space back in 2012, and found it a pretty snappy little 4X game, albeit one with a distinct lack of personality. 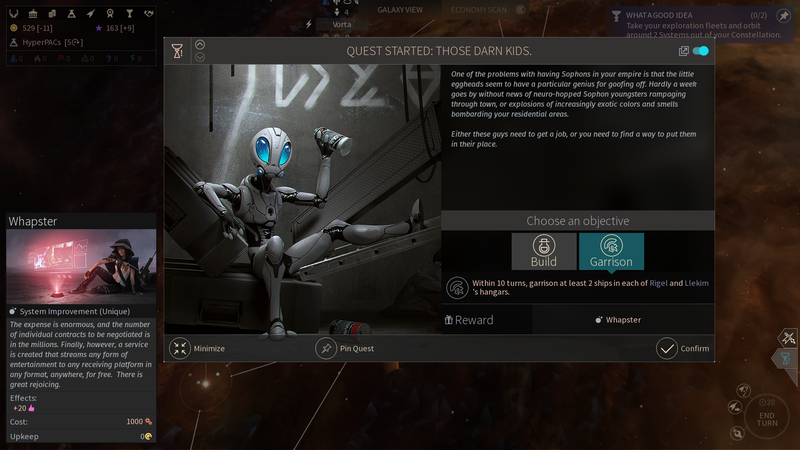 From what I've played so far of Endless Space 2, we won't be suffering through that again. Four years ago, developers Amplitude were virtual unknowns. Today, they're a big-time PC studio with a Sega publishing deal. You can thank their last few games for that, in particular Endless Legend and Dungeon of the Endless, which showed that pretty menus and cool character design can go a long way on a platform where these kind of games are usually short on quality art direction. 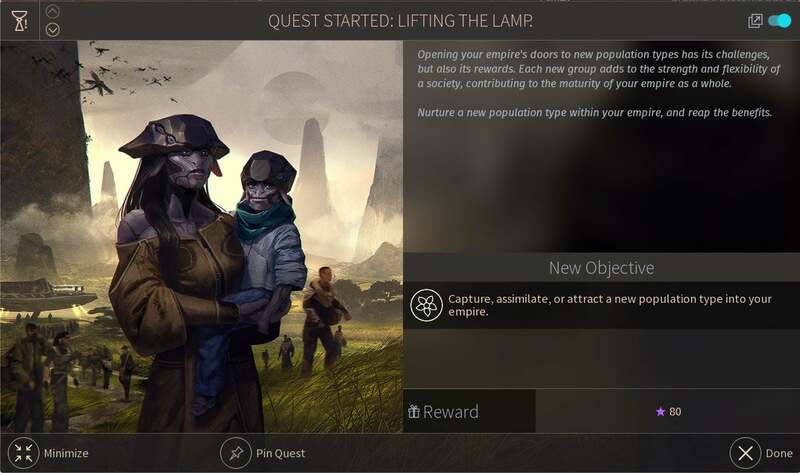 Course, it helped that they were also smart games with solid ideas on how to innovate in well-worn genres, and Endless Space 2 is already looking like it's continuing that tradition. The game hit Early Access this week, but I've been playing it for a little while longer. This is far from a final review, since the build available is quite limited (there are only a few factions and there's a 100-turn cap), but in many other ways the game already feels very complete, not to mention interesting, so below I want to talk about the main things that I've been impressed with (or at least noticed) so far. 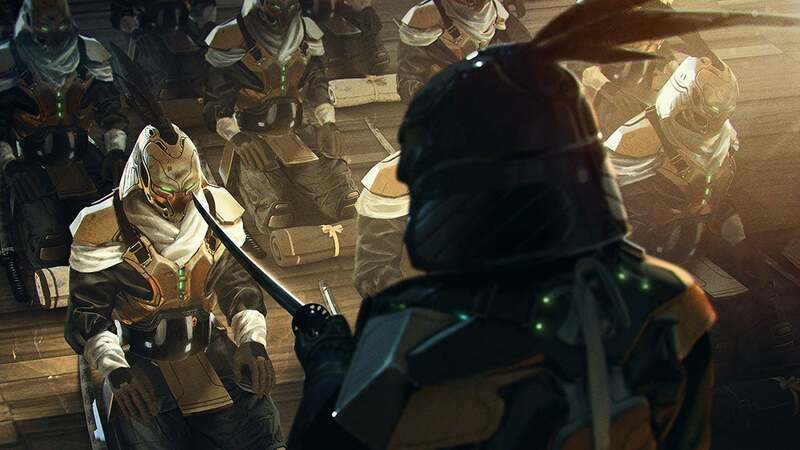 Perhaps timely, given the current climate in the actual world, Endless Space 2 isn't afraid to get political, issuing you objectives and offering upgrades that with a few words shuffled could easily read like headlines from a 2016 newspaper. The game doesn't grandstand, or force much of this on the player (most are decisions you're free to make yourself, with pros and cons triggered whatever you select) but the inclusion of stuff like alien immigration, harmony between races on multi-species worlds, a religious wording change (which can easily be read as gay marriage laws) and ecological policies aren't just token nods, they're important decisions you have to make to determine the future of your empire. I mentioned this briefly above, but one of the things that really puts me off about PC strategy games below the absolute top tier (Civilisation, Total War) is that they're often pretty gross to look at. Art design tends to take a backseat to code and balance in a lot of these games, space 4X titles especially, leaving many games that might otherwise play well looking like they crawled out of a time machine that had a blinking "2002" on its control panel. Many "inhospitable" worlds will gradually become "hospitable" once you unlock appropriate tech. The 4X genre is pretty well-worn these days, especially when it comes to space games. We've already had two big releases this year, one of which was pretty good (Stellaris), the other somehow not as good as its 20th century predecessor (Master of Orion). Those things include cool ideas like the growth (and ability to support) political parties within your empire, a map that has genuinely uncharted areas rather than just unexplored lanes, and the continued fleshing out of the first game's ideas, like hero units which can be attached to settlements or fleets to give you select boosts. It's tough getting much more of a feel for the game beyond the basics, because 100 turns just doesn't give you enough time to spread your wings. Just as you've got an empire established, you're building some decent ships and are about to settle in for a war or two, yoink, time's up and you've got to start over. 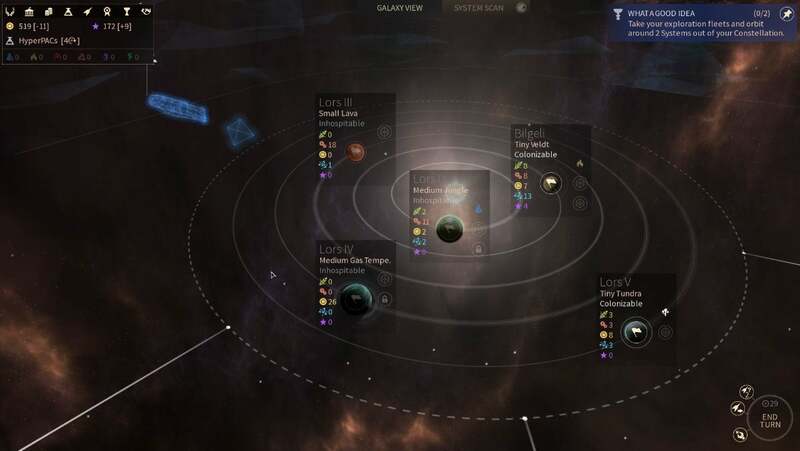 The relationship between factions, technological growth and strategic changes forced by larger empires are some of the most important things to consider when it comes to a 4X game, so if you're thinking of getting into Endless Space 2 in Early Access, consider that what's there now is essentially a demo. But what's there is also very promising, so I'm really looking forward to trying out the finished article when it's out sometime next year. Really wish 4x space games came to consoles. Would be a lot less fatiguing if you could just sit on the couch, smoke a doobie and play some sort of master of orion console edition endlessly. I use Steam Link for that. Can use a Steam Controller or wireless Keyboard/Mouse and play from the couch on the big screen. Then if I'm super lazy I can continue streaming the same game to the macbook air in bed. OK I only did that when I was home sick for a week. I'm hoping my newly-acquired Steam Controller can help with this problem. I think it'd be pretty well suited for this type of game, if not a perfect solution. I'm finding the steam controller a bit wonky donky so far. Few games are made specially for it, but the customisation options are huge so you can do a lot if you invest the time into figuring it all out.